Easy Life Multicura is a combined preparation with a broad spectrum action against the most common tropical fish diseases in freshwater aquariums. It is particularly effective against fungal diseases, parasitic skin and gill worms, parasitic infections and bacterial skin mucus infections. It also helps to heal wounds, protects the skin mucus and stimulates the cultivation and growth of tropical fish. 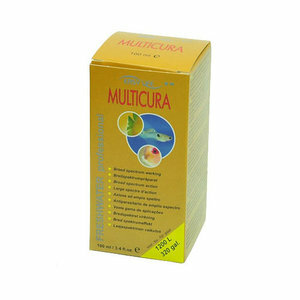 Easy Life Multicura effectively combats no less than 20 symptoms including fungal outgrowths, mouth fungus, blue fungus, skin crusting, skin worms, skin clouding, Malawi bloat, white noses, stomach dropsy, neon disease, tail and fin rot, fin pinching, infections of the skin and gills and wounds. Turn off UV lamp and oxydator. Remove active carbon, synthetic resin and any other absorbent materials present from the filter. Ventilate well during treatment. Recommended dosage: On the 1st day add 40 drops per 50 litres of aquarium water. On the 2nd and 3rd days keep to 20 drops per 50 litres of aquarium water. 20 drops = 1 ml. Preventive dosage: When adding new plants and/or fish, add a one time dose of 40 drops (= 2 ml) per 50 litres aquarium water. Prevents contamination from outside. Dosage for cultivation and growth: For the cultivation and growth of fish add 20 drops (= 1 ml) per 50 litres aquarium water. This prevents fungus affecting eggs. 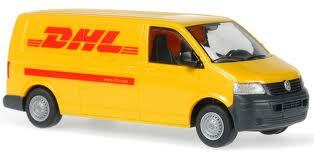 Growth disturbances and fallout are also effectively diminished. In severe cases a double dose (80 drops per 50 litres of aquarium water) may be used on the first day. It is totally safe for the biological filter. Non toxic, even with the indicated overdosage. To be combined with Easy Life Anti-Spot (against white spot disease, velvet disease and hole in the head disease). Read the directions first for the correct use of this product. Do not use any other products during the treatment! After the course of treatment refresh the water. The aquarium can then be treated with a double dosage of Easy-Life Fluid Filter Medium (or EasyNeo Freshwater) to remove product residue. This greatly improves the water quality and the fish recover very quickly. Store the bottle with the pamphlet in the original packaging in a dark place at room temperature. Keep out of reach of children and pets. Do not use with animals that are for consumption.